Find local events throughout the Philadelphia area helping to raise awareness and funds to support women with breast cancer. Unite for HER events include Wellness Days, Student Unite for HER games, therapy provider training programs, and special events held by our generous supporters. If you would like more information about a Unite for HER signature event, please click on the Events tab to locate the correct page. Check back regularly to stay up-to-date on everything going on in the community. We also advise that for student games you check the school website to confirm the time, as weather conditions may affect their ability to play. Join us on Sunday, April 28, for a special afternoon of joy, hope, gratitude and fashion at the Merion Country Club, featuring the former participants of Unite for HER. By hospital invitation only for Jefferson Health breast cancer patients. If you are currently in treatment at another facility, please contact us to see if a wellness day is scheduled for your location. By hospital invitation only for Fox Chase Hospital breast cancer patients. If you are currently in treatment at another facility, please contact us to see if a wellness day is scheduled for your location. By hospital invitation only for Paoli Hospital breast cancer patients. If you are currently in treatment at another facility, please contact us to see if a wellness day is scheduled for your location. By hospital invitation only for Jefferson breast cancer patients. If you are currently in treatment at another facility, please contact us to see if a wellness day is scheduled for your location. By hospital invitation only for Phoenixville Hospital breast cancer patients. If you are currently in treatment at another facility, please contact us to see if a wellness day is scheduled for your location. 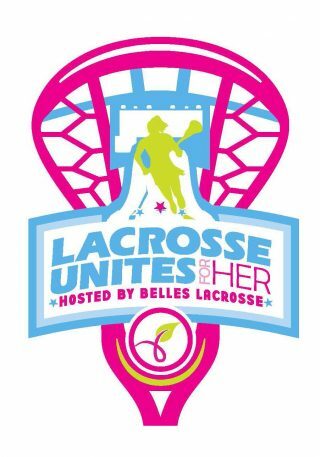 Join us this spring for our inaugural Lacrosse Unites for HER tournament, hosted by Belles Lacrosse Club and located at West Chester University. By hospital invitation only for Penn Cherry Hill breast cancer patients. If you are currently in treatment at another facility, please contact us to see if a wellness day is scheduled for your location. By hospital invitation only for Jefferson New Jersey breast cancer patients. If you are currently in treatment at another facility, please contact us to see if a wellness day is scheduled for your location. By hospital invitation only for Penn Medicine breast cancer patients. If you are currently in treatment at another facility, please contact us to see if a wellness day is scheduled for your location. Wellness Day open to those affected by breast cancer in the Philadelphia area. If you been diagnosed with breast cancer within the last 18 months, are facing a recurrence, or living with metastatic breast cancer disease and live in the Philadelphia area, please contact us to find out more about our Wellness Program. By hospital invitation only for Reading Hospital – Tower Health breast cancer patients. If you are currently in treatment at another facility, please contact us to see if a wellness day is scheduled for your location. Join us for our 2019 Unite for HER 5K Run/2K Walk/Kids’ Dash in West Chester as we unite the community to run By Her Side in support of those affected by breast cancer. You can participate as an individual or join Team Fund A Woman and raise funds for the women of Unite for HER. Not a runner? Enjoy the streets of West Chester in our 2K Walk , and sign your little ones up for our annual Kids Dash. Plus, stay after the race for a Family Tailgate, featuring a Cheers to You Champagne Bar, DJ, complimentary bites, kids games and bounce house, and more! Gather with us as Unite for HER transforms the Phoenixville Foundry into a rustic-chic fete for our seventh annual farm-to-table chef tasting event. A celebration of local and sustainable dishes, Harvest will feature top restaurants such as ‘Clean Plate’ winners Sovana Bistro, The Inn at Grace Winery, and Phillies’ Chef Keith Rudolf, plus over 22 additional culinary experts, including food trucks! Our tastings are paired with special offerings from wineries, breweries, and spirit vendors to tantalize the senses. The evening will also feature a fabulous live auction, super silent auction items, a wine grab, live musical entertainment, and more! By hospital invitation only for Jefferson – Abington breast cancer patients. If you are currently in treatment at another facility, please contact us to see if a wellness day is scheduled for your location.